Funds raised through special events have played a pivotal role in keeping hospice care available and accessible throughout the Red River Valley for the past 30 years. The Roger Maris Charity Golf Tournament is one of the longest-standing sources of financial support. In its 27 years, the tournament has given more than $1,500,000 to beneficiaries Hospice of the Red River Valley, Fargo Shanley High School (Roger’s alma mater) and the Roger Maris Cancer Center in Fargo, N.D.
Pat Maris, Roger’s widow, recently reflected on the tournament’s beginnings, and the family’s decision to support the work of Hospice of the Red River Valley through the annual event. 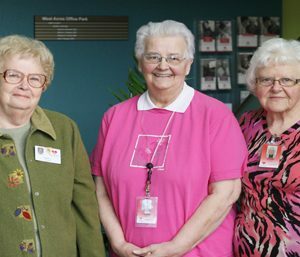 Just four years in, Hospice of the Red River Valley was added as one of the beneficiaries of the tournament proceeds. To date, more than $650,000 has been raised for the organization. The union of Hospice of the Red River Valley and the Roger Maris Charity Golf was natural for the family. The Maris family continues to stay involved in the annual event. Each year, the entire family—Pat, her six children, their spouses and the grandchildren—make the trip to Fargo from their homes in Florida for the tournament. 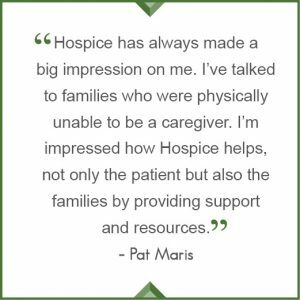 With so many valuable causes, why has the Maris family continued to keep Hospice as a beneficiary for all these years? 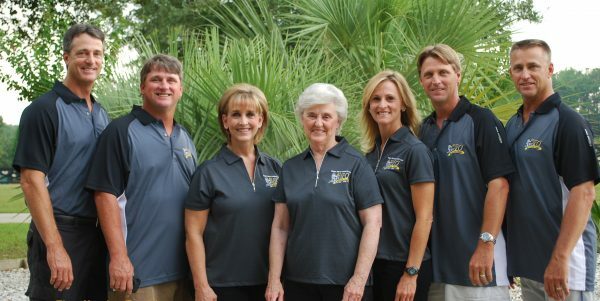 Because of the generosity of the Maris family, tournament volunteers and participants, the linking of the Roger Maris Charity Golf tournament and Hospice of the Red River Valley has become a further expression of the dignity and love of a man whose heart was truly directed toward his family and home.